TM Preparedness: What to do today? Grind up some flour! What do you need to prepare for? Job loss? Pay cut? Natural Disaster? Financial disaster? Family disaster? YES!!! If you are prepared you won't have that stress to deal with. House cleaning is like stringing beads with no knot at the end of the thread. So I went to make some rolls for the family, and discovered I was out of flour. 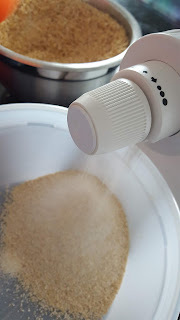 No worries, I usually grind my own grains to make my flour. 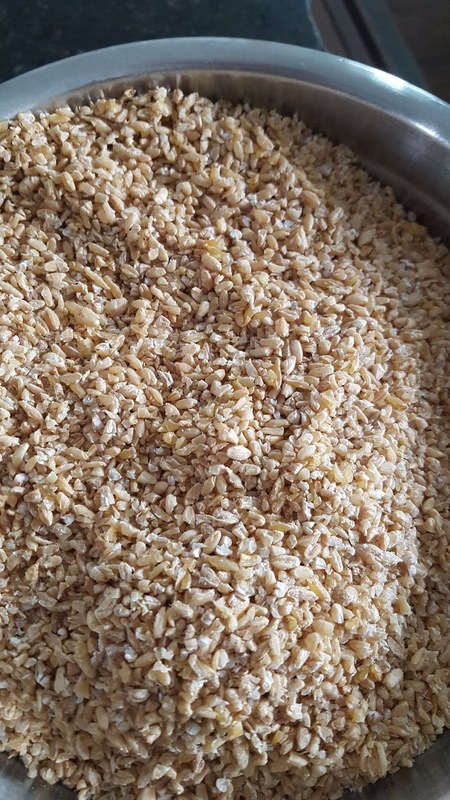 So today I combined white hard wheat, kamut and barley. 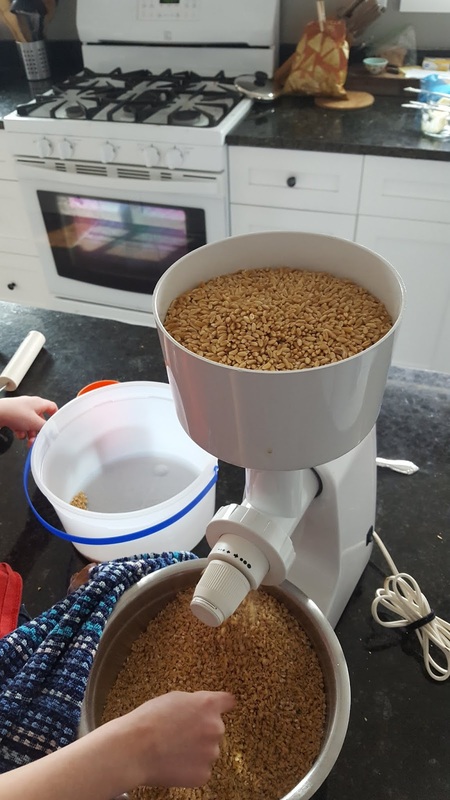 What grain mill am I using today? 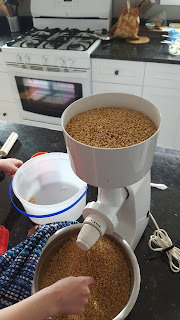 My FGM, aka Family Grain Mill. 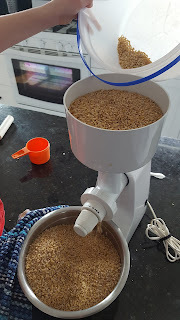 I got it from Pleasant Hill Grains, and it comes with some very neat attachments, but right now, I am making flour, so using the normal head. 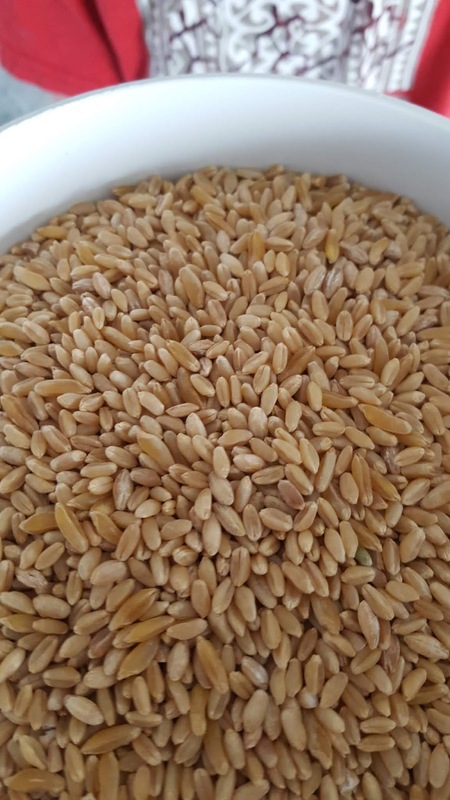 Because kamut is such a large grain, I decided to crack everything first. After this I dial the setting to finest, and grind away. As you can see this grinder is not as loud as my kitchen tec, and so I let the little one help me. Next I will be putting this through my sieve and then grinding the germ again. 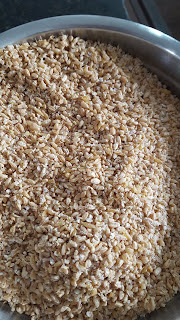 Anything too big will be tossed to the worm bin, because those sharp edges break my gluten strands when making bread. I am married to the most amazing man. We have been blessed with several children. We are working on getting gardening going and our yard put in.